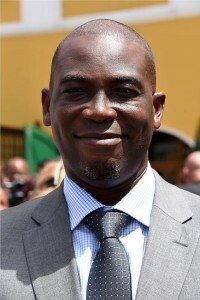 WILLEMSTAD - Curaçao will temporarily grant asylum for political refugees. That is what the Minister of Justice Quincy Girigorie said after a visiting from the UN Refugee Organization UNHCR. Curaçao has not signed the International Refugee Convention but may not return refugees. At present, some dozens of refugees reside in Curaçao without documentation. According to Girigorie, Curaçao cannot permanently accommodate refugees because there are already major problems with housing and employment for its own population.